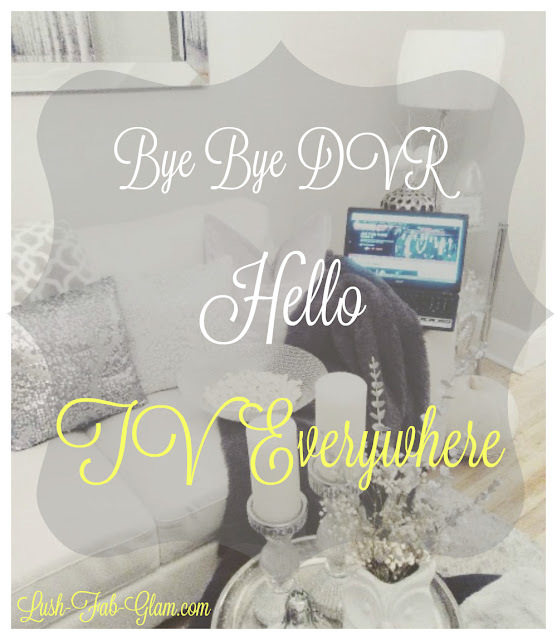 Lush Fab Glam Inspired Lifestyle For The Modern Woman: Ditch TV And DVR For TVEverywhere. Ditch TV And DVR For TVEverywhere. Life gets hectic and as a busy mom on the go there is hardly enough hours in the day to juggle it all. Finding time to sit and watch the scheduled TV shows that I like can be a hassle and I have missed episodes of my favorite shows like NBC The Voice . If you are always on the go, you know first hand just how limited time can be especially when it's spent on daily commutes, working, running errands, caring for family, making time for the gym and all the other extracurricular activities that fill up the week. When we finally get some down time it is spent catching up with family and friends. This is especially the case when we have dinner parties to host and events to attend. 1. First it's free! I will emphasize that point again because unlike some popular websites that charge a fee to access your favorite TV shows, NBC TVEverywhere does not leave a dent in your wallet. It's 100% free and that means more cash to save up, invest or shop for your wish list items. 2. It does not constrain you to a specific viewing schedule. So no more rushing home to realize that you only caught the end of the show. 3. You can watch TV without the TV. With NBC TVEverywhere you are not constrained to the TV room. You can watch TV show episodes from an internet connected device like your desktop or laptop. 4. It can be watched everywhere: Unlike DVR you don't have to be home to access pre-recorded episodes. Ditch the DVR and catch up on your favorite shows on your laptop during your work commute, lunch break or even while cuddled in bed after a long day. Now that I am aware of NBC TVEverywhere I am looking forward to watching some of their amazing shows that I have always wanted to catch up on like the Black List. For now I am looking forward to binge watching the episodes I missed from The Voice season 9. Which features heart throb judges Adam Levine, Blake Shelton and Pharell and the pop superstar fashionista whose style we love, the gorgeous Gwen Stefani. The amazing live performances, face-offs and watching the grueling process of judges eliminate their own team members is why we love it and what makes The Voice the best talent search TV show. Just the premise of being selected based on your vocal talent not what you look like or how you dress makes it a truly authentic and fun viewing experiencing. Click here to watch The Voice on NBC TVEverywhere. Grab your favorite throw blanket, popcorn, laptop and enjoy the experience of watching TVEverywhere. Happy binge watching! 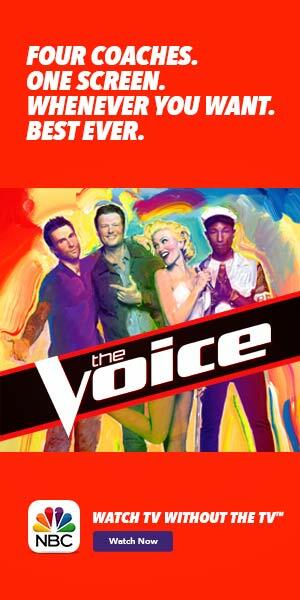 Are you a fan of The Voice and which shows are you looking forward to watching on NBC TVEverywhere? Share with us by leaving a comment below. Great post!! It would mean the world to me if you could check mine out too :).